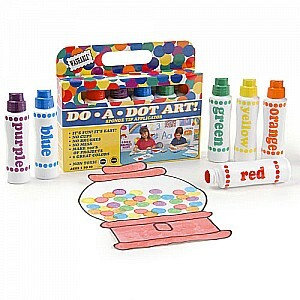 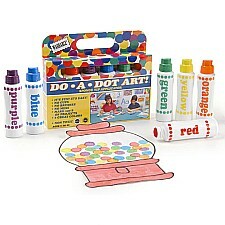 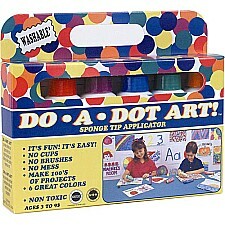 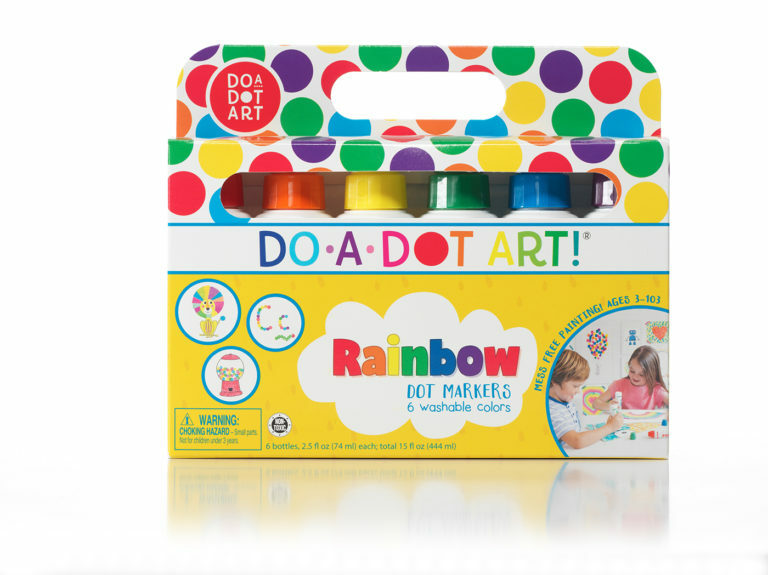 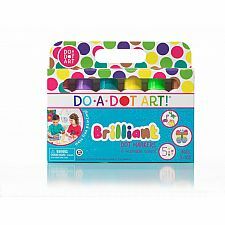 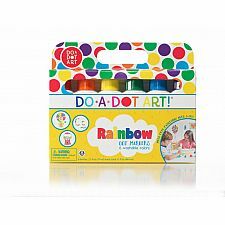 Do A Dot Art! 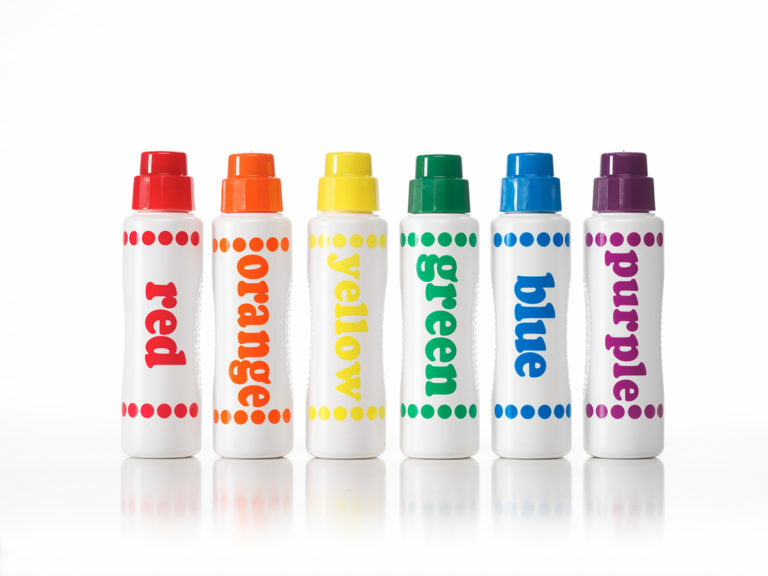 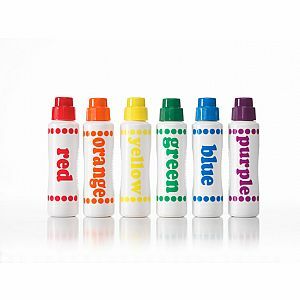 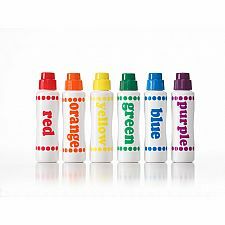 This set comes with 6 washable dot markers in no spill, no splash bottles, which is a dream come true for parents and teachers. 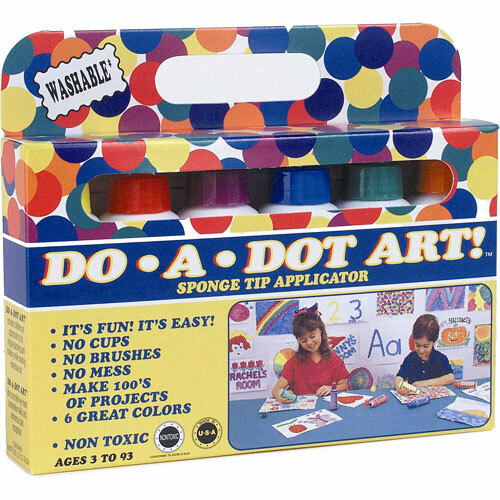 Do A Dot Art! 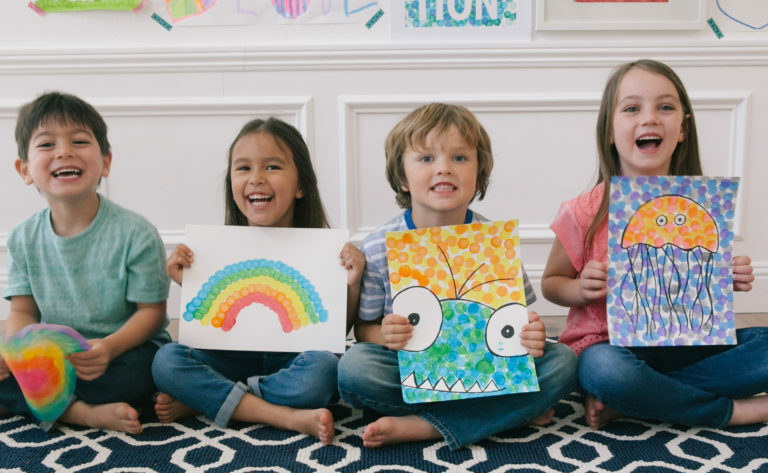 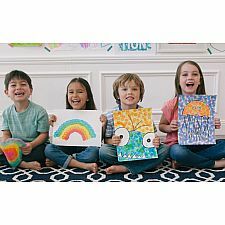 is incredible for developing hand eye coordination and color recognition for young children, and is the first art medium every young child should use. Let your imagination run wild with this set of primary rainbow colors.